We handled the first Spanish release of the International distributor, Diamond Films, Malas Madres (Bad Moms), between April and June 2016. The newly launched Madrid-based branch chose this comedy starring Mila Kunis, Kristen Bell and Kathryn Hahn as their first mainstream launch in Spain. 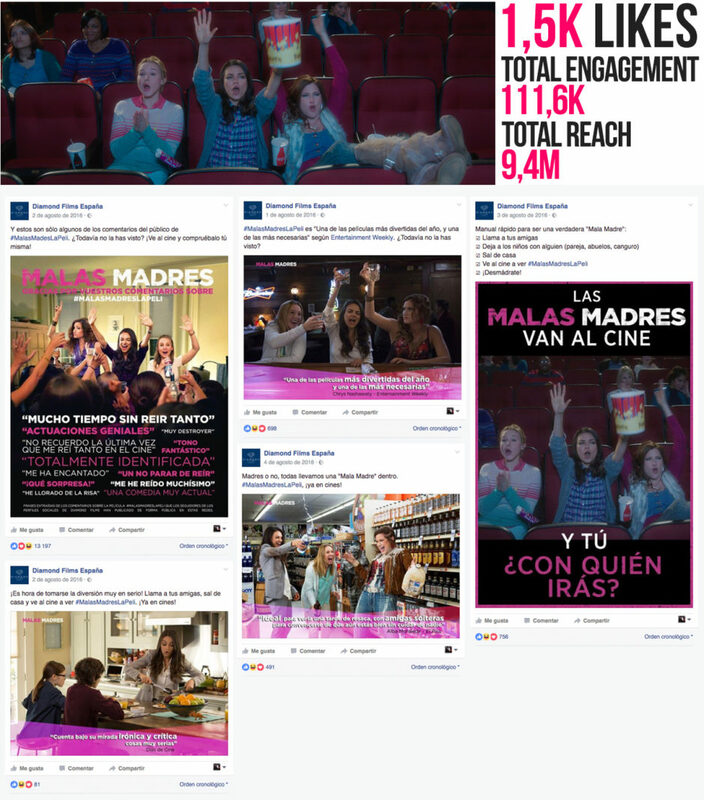 The film generated very high levels of interest in its social media channels, reaching more than 9,4M people. There was also a high level of engagement and consistent, positive impact in the press. It’s one of the funniest movies of the year—and one of the most necessary.